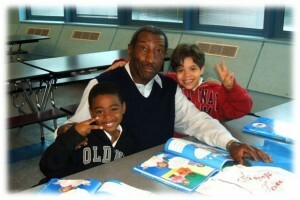 Mentors volunteer in schools to help children learn to read. Over 500 volunteers at 39 sites in Elmsford, Mount Vernon, Valhalla, White Plains and Yonkers, impact the lives of more than 9000 children and their families in Westchester every year. Our volunteers read with children in public schools, (The SMART Program, Reading Buddies After School and Introduction to America), in the Library (Reading Buddies After School at The Riverfront Library and Summer Reading Buddies) and in local pediatric waiting rooms (The Open Book). They serve as docents who guide participants through The Holocaust Remembrance Program and read hundreds of essays in our Scholarship Program. High School Students teach computer skills to adults in STACK. Our programs have improved the literacy and English skills of our students, engaged many Westchester volunteers who make generous contributions of their time and energy, and help to break down barriers between the generations.